City Farm School local market begins! Our first market it just around the corner! Starting Tuesday June 10th we will begin our 2014 market season, with twice weekly market stands until the end of October. To start things off we will have tasty salad greens, radishes and chives as well as a number of herbal teas. New this year we will have seeds, plants and organic fertilizer kits available for you to start your own home garden! Come on out and meet your student farmers and get a taste of our first harvest of 2014. 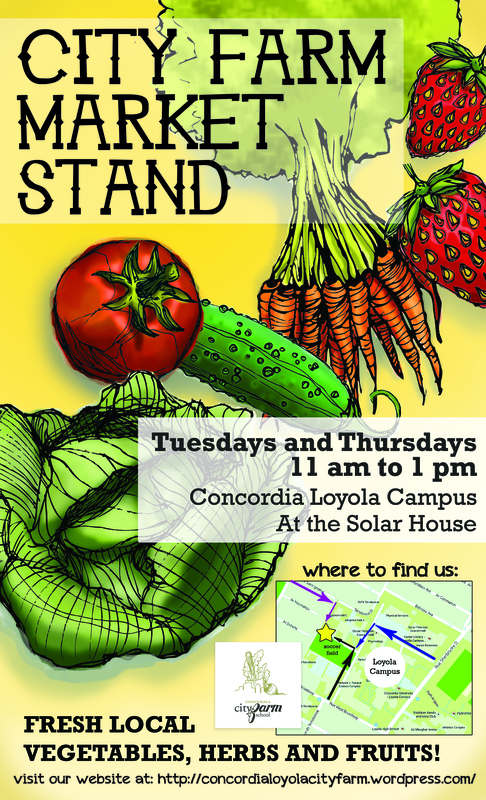 Previous PostVert Ta Ville Seedling Sale List!Next PostCity Farm School – our summer Loyola campus farm!